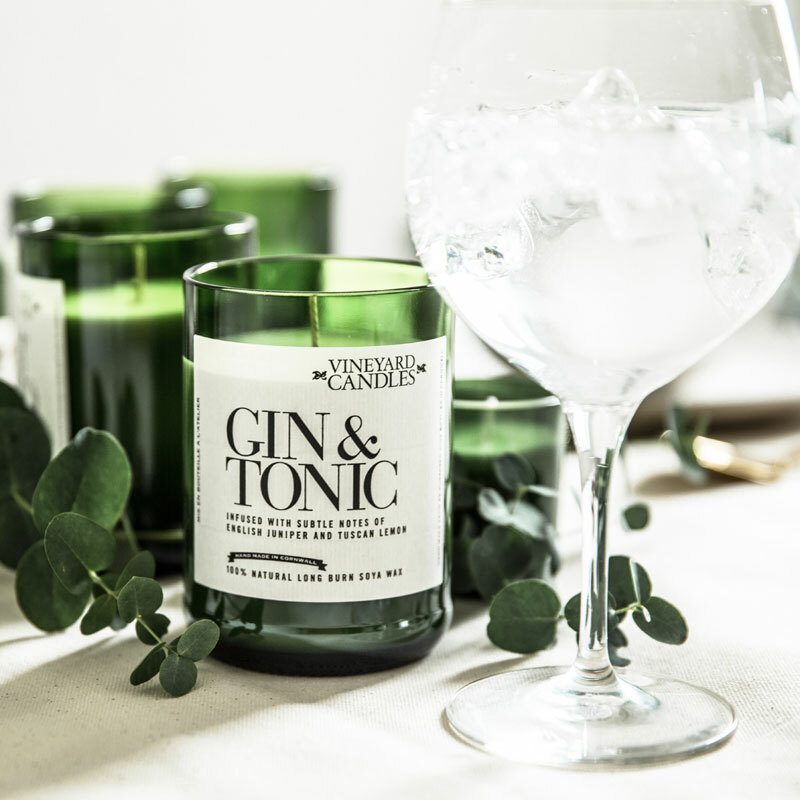 The popular Gin and Tonic fragrance was created using the tasting notes and aromas from a famous Gin maker, Juniper with subtle hints of coriander and citrus…the perfect gift for a gin lover! 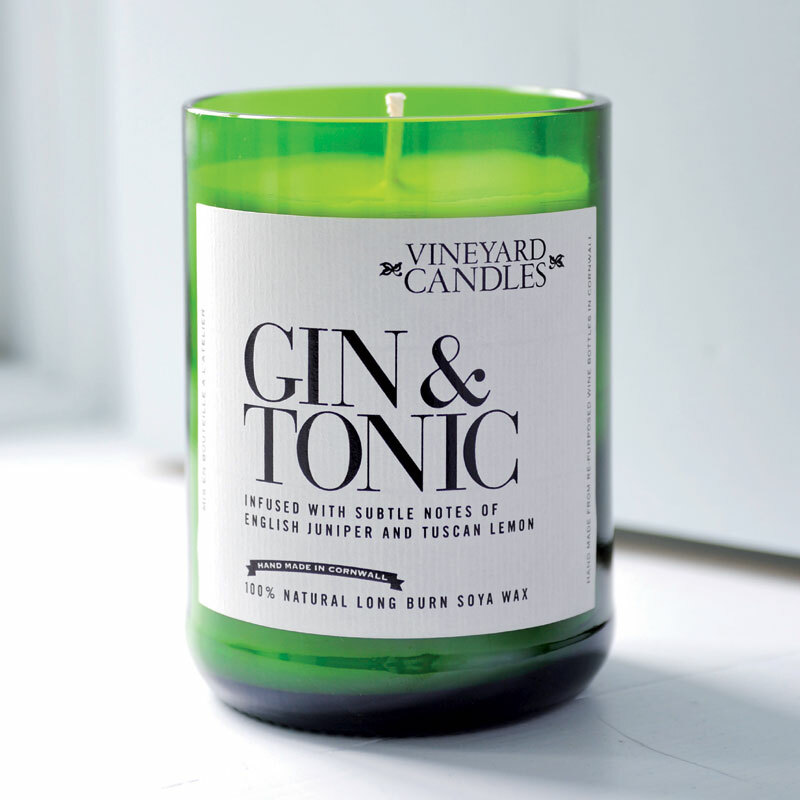 The brilliant Vineyard Candles are created using a luxury natural wax blended with the finest fragrances. 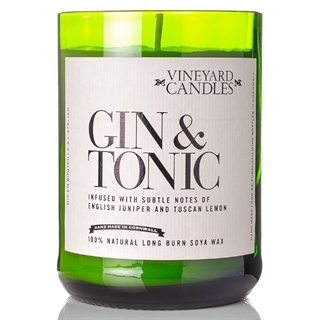 Poured completely by hand into repurposed, beautiful green wine bottles, the rim is polished by flame to create the perfect finish. 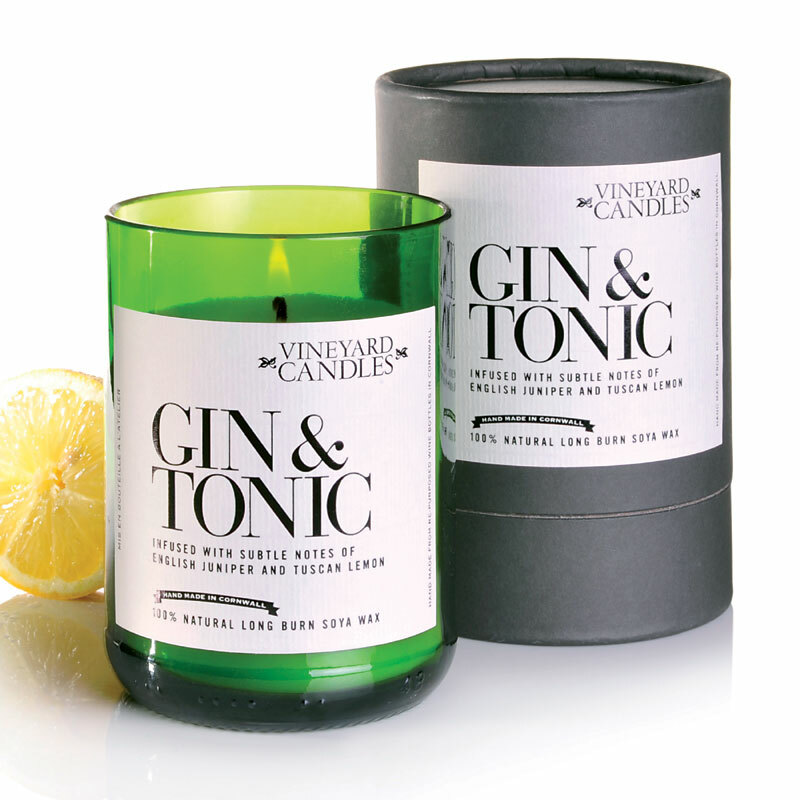 Each candle takes roughly 12 hours to make from start to finish so they're of the highest quality and are supplied in simple yet elegant gift packaging. 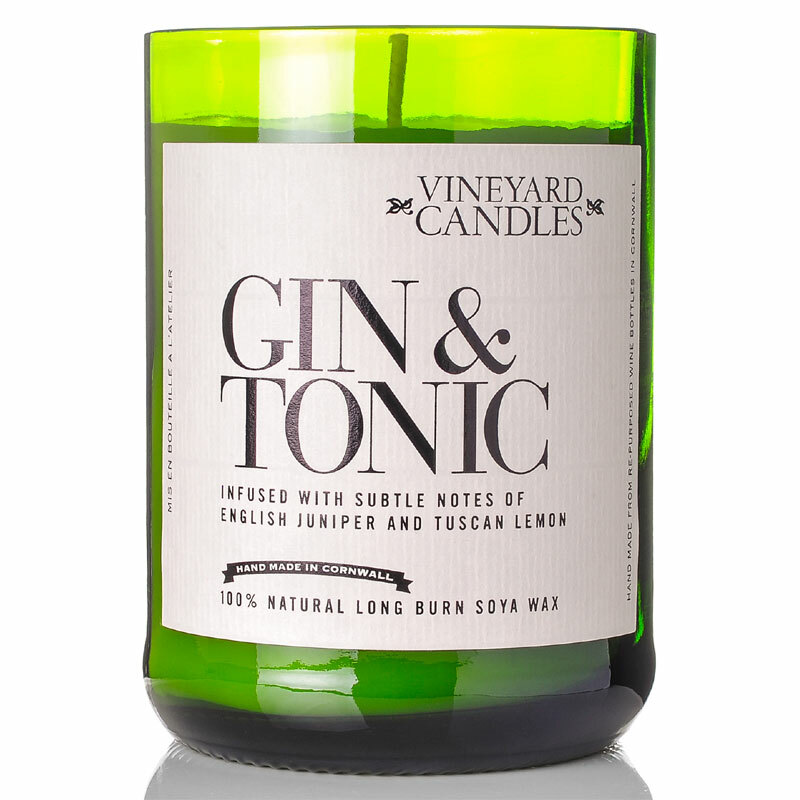 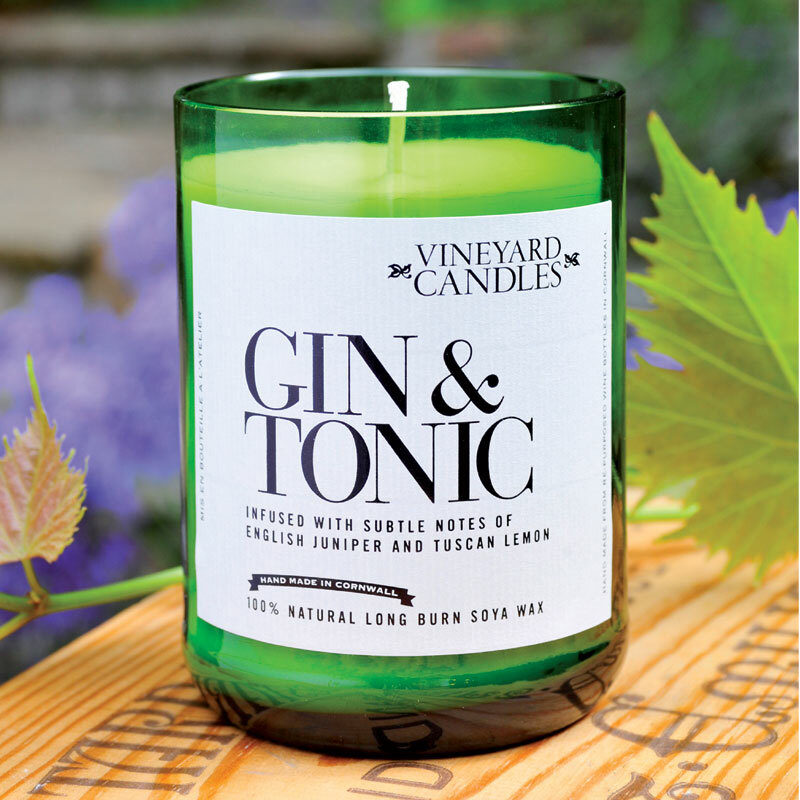 Vineyard Candles are also available in a variety of different scents!